Bob Dylan will receive the Medal Of Freedom, America’s highest civilian honor, it has been announced. Bob Dylan is being recognized alongside former Secretary of State Madeleine Albright, John Glenn, the third American in space, and Nobel Prize-winning novelist Toni Morrison. President Barack Obama will award the medals at the White House in the coming weeks. 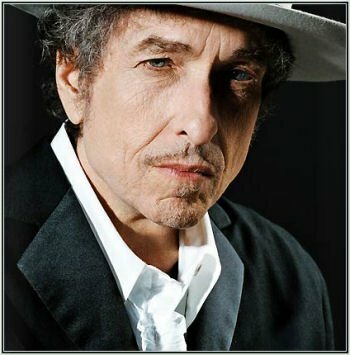 Bob Dylan was born Robert Allen Zimmerman on May 24, 1941 and began his musical career in 1959, playing in coffee houses in Minnesota. He took his stage name from the poet Dylan Thomas and, not coincidentally, paid as much attention to his lyrics as his music. Much of his best-known work dates from the 1960s, when Bob Dylan became an informal historian of America’s troubles. His move away from traditional folk songwriting, paired with a controversial decision to “go electric” proved equally influential – his confessional, introspective lyrics were undoubtedly absorbed by The Beatles in their later work. Bob Dylan continues to record and tour, expanding his horizons with a US radio show and a recently-signed six-book publishing deal. Toni Morrison has become renowned for her portrayal of the African-American experience in novels such as Song Of Solomon and Beloved, which won the Pulitzer Prize in 1988. Born Chloe Anthony Wofford in 1931 in Ohio, Toni Morrison went on to become a senior editor at publishers Random House before pursuing her writing career. Madeleine Albright, meanwhile, was born in Prague – in what was then Czechoslovakia, and was the first woman to hold the top diplomatic post in the US. • Shimon Peres, Israeli president and Nobel Peace Prize laureate. • Gordon Hirabayashi, who openly defied the forced relocation and internment in the United States of Japanese Americans during World War II. • John Doar, civil rights attorney. • William Foege, a physician who led the campaign to eradicate smallpox. • Dolores Huerta, civil rights worker and women’s advocate. • Jan Karski, an officer in the Polish Underground during World War II and one of the first people to provide accounts of the Holocaust to the world. • Juliette Gordon Low, founder of the Girl Scouts. • John Paul Stevens, former Supreme Court Justice. • Pat Summitt, former women’s basketball coach at the University of Tennessee. Previous honorees include Mother Theresa, Margaret Thatcher, Stephen Hawking, Walt Disney, Doris Day, Maya Angelou, Duke Ellington and Aretha Franklin.